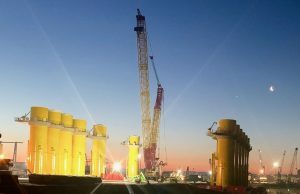 EEW Offshore Structures (Britain) Ltd has produced its 100th transition piece, which is due to set sail to Ørsted’s Hornsea Project One offshore wind farm. 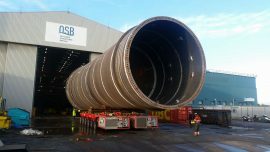 Danish offshore wind developer Ørsted has contracted the Teesside-based EEW OSB (formerly OSB) and Denmark’s Bladt Industries to manufacture 30 and 28 transition pieces respectively for the 174-turbine Hornsea Project One. 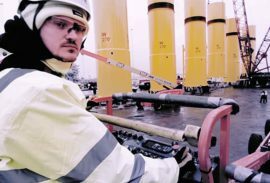 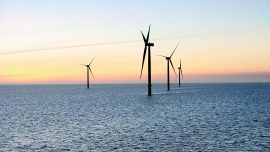 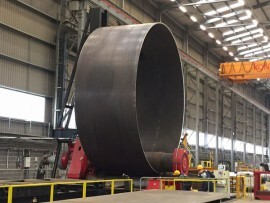 Rostock-based EEW Special Pipe Constructions GmbH (EEW SPC) has won a contract to produce 47 monopiles for Ørsted’s Borssele 1 and 2 offshore wind farm. 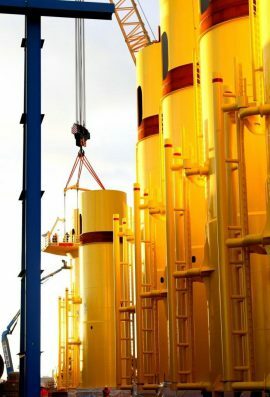 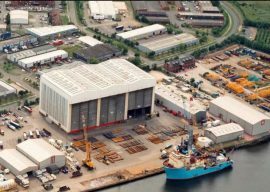 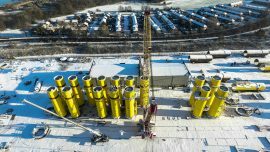 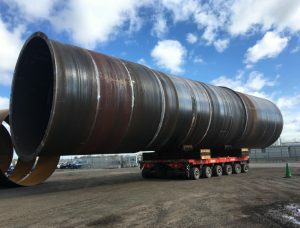 Rostock-based offshore foundations manufacturer EEW Special Pipe Constructions GmbH (EEW SPC) has acquired Bladt Industries’ shares in Offshore Structures Britain Ltd. (OSB) and is now the sole owner of the British site on the River Tees. 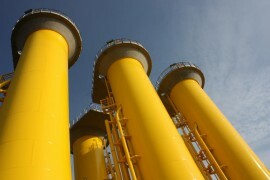 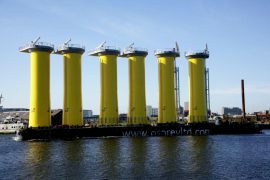 GeoSea has installed half of the monopile foundations at the Hornsea Project One offshore wind farm in the UK. 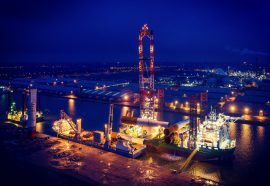 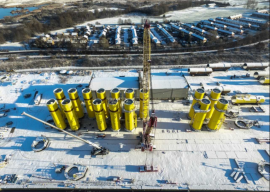 GeoSea’s jack-up Innovation has loaded the first set of monopile foundations in Vlissingen, the Netherlands, and is now en route to install them on Orsted’s 1.2GW Hornsea Project One wind farm off the UK, DEME said. 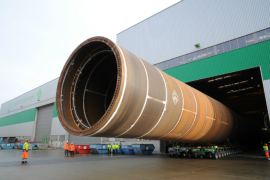 Mech-Tool Engineering (MTE) has completed a fabrication project comprising a series of transportation cradles for the 1.2GW Hornsea Project One offshore wind farm. 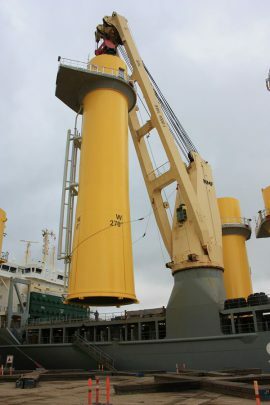 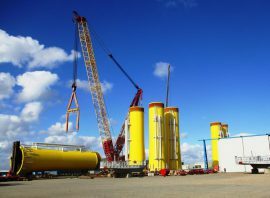 Bladt Industries has contracted a partnership of BIC Electric and Resolux to take part in the outfitting of 124 transition pieces built for Ørsted’s 1.2GW Hornsea Project One offshore wind farm. 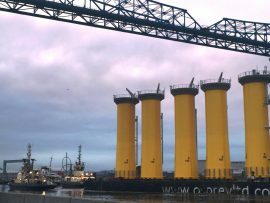 SAL Heavy Lift’s crane vessel Svenja has delivered 12 monopile foundations for the Hornsea Project One wind farm to the Able Seaton Port on the River Tees. 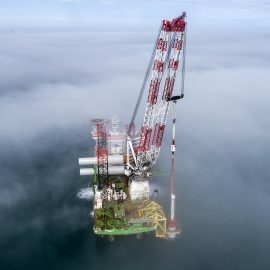 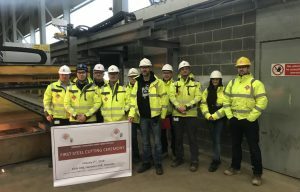 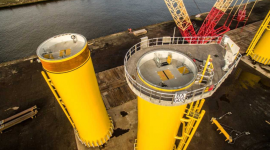 Offshore Structures Britain (OSB) has installed the first external platform on one of the transition pieces being built for the Hornsea Project One offshore wind farm in the UK part of North Sea. 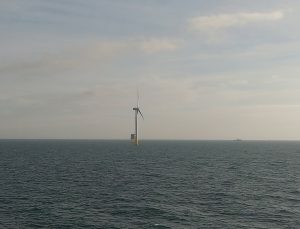 DONG Energy has appointed Con4Mare as the marine warranty surveyor for the transport and installation of the transition pieces and monopile foundations at the 1.2GW Hornsea Project ONE offshore wind farm. 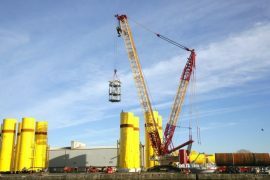 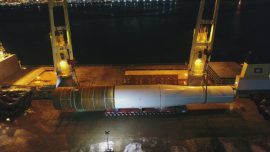 Bladt Industries carried out the final load-out of Walney 4 transition pieces in Aalborg on 31 July. 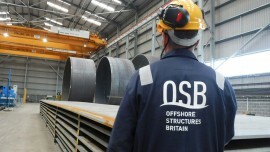 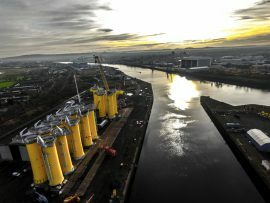 Offshore Structures Britain (OSB) has shipped out the last six transition pieces built for DONG Energy’s Walney Extension offshore wind farm.